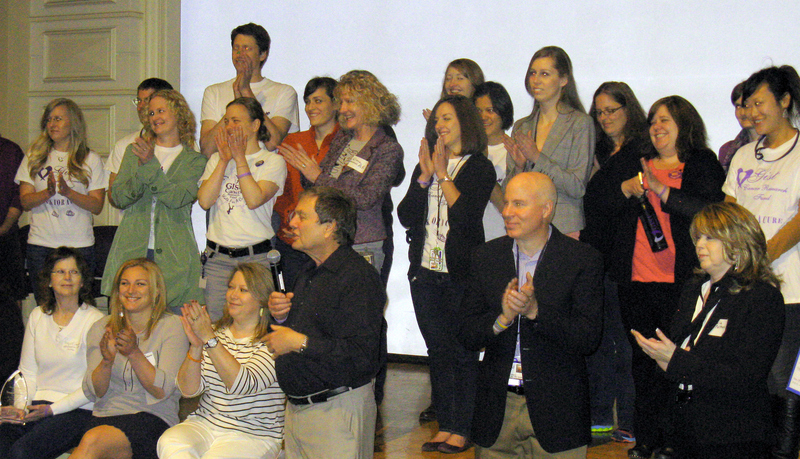 On Wednesday, May 15th, 2013, we enthusiastically reunited with patients and supporters of the GIST Cancer Research Fund for our Annual GIST Breakfast meeting at OHSU. Dr. Heinrich, Dr. Corless, and our lab personnel look forward to this gathering every year, as it gives us a chance to see familiar faces and share the excitement of our latest GIST research efforts. This year, the GCRF presented us with an incredibly generous donation of $125,000. We feel honored to be included among the beneficiaries of their tireless fundraising efforts and, with their outstanding support, we can continue to strive to find a cure for GIST cancer.